When one of your employees leaves, you’ve one last chance to get something useful from them. Not the keys to their office desk, but their honest thoughts about your business and the lessons that you can learn from why they are leaving. In this article, we’ll explore how you can conduct a productive exit interview. This is when you as an employer get to have an honest and open conversation with someone that has recently resigned, to understand their thoughts on working for your business, any problems they had or concerns over processes or operating practices. You’re aiming to gain valuable information about what staff truly think but are generally too afraid to say. Perhaps some management practices stink? Maybe sales targets are set way too high, sinking morale? Maybe working conditions are archaic compared with other businesses? Products are out of date and not as attractive as those of the competition? Or, it could be something sinister like bullying, or a ‘virus’ member of the team that is undermining all of the good that you are trying to achieve. All of this can give your business valuable insight and empower you to make changes that might stop any other team member that you value ‘throwing in the towel’. However, the whole process can only work well if the leaver is relaxed and feels like they can speak openly. If there is a culture of fear about speaking out, then your business has issues beyond the scope of this article. What we’re interested in now is a leaver understanding that their specific feedback will not go straight back to their manager or former colleagues. The leaver might want to work with you again or, if you’re in a niche industry sector, they don’t want to be identified as a troublemaker. Therefore, make sure you spell out that his or her exit interview is entirely confidential, that ‘Chatham House Rules’ apply and that their answers will be collated with others and used as aggregate feedback for the business, management and directors. How should I plan an exit interview? 2) creating the right atmosphere for the meeting to be a success. If the individual worked in your business sales team, you need to do some homework about not just the leaver, but his/her management structure, colleagues, how the team works and how it fits in with the rest of the business. Only then can you ask pertinent questions, as well as spotting early if the leaver seems to be holding back or talking too generically. If you don’t know enough about their sales team, you’ll not understand what has been pressing this leaver’s buttons over the years. Be sure to have thoroughly read through the employment record, taken note of past performance reviews and comments from managers. Keeping the leaver relaxed during the exit interview will empower them to be more open and honest. This is their chance to say what they really think, as long as they understand they will never be compromised by doing so. If possible, you’ll be having someone from human resources doing all this for you… it’s not good practice for a Sales Manager to conduct the exit interview of a Sales Executive, unless they are strictly able to not be defensive or allow the meeting to become emotional. They might have form together, good or bad, and that will unduly influence responses. Third party HR agencies will be willing to conduct the exit charge for a nominal fee, as will some retained recruiters, that are tasked with filling their vacant role. 1) Why did you want to leave? Perhaps the most obvious question. Some leavers will take this and go straight to the point, but others might be more reserved, and you’ll need to coax out their reasoning via these follow-up questions. 3) How did you find the culture of our company? An individual leaver’s answer here won’t mean much in the scheme of things, but if you aggregate leavers’ answers from conducting exit interviews, over time, you might draw useful conclusions. 4) Are staff recognised and rewarded well enough? While everyone would always like more money, this is more about whether your business rewards verbally or celebrates success. Everyone likes a pat on the back. 5) Were you well equipped and trained here? Perhaps it’s time your sales team were given some extra training programmes to help them reach their targets? 6) Did you share your concerns with anyone here? This will expose a ‘culture of fear’ exists if many leavers suggest they could not speak up. 7) Were you satisfied with the way in which you were managed? The leaver needs to understand his answer will not be taken up directly with their manager. As a business, your alarm bells should be ringing if several leavers spoke against the same manager. 8) What could we have done to keep you? This isn’t about you trying to make the leaver change their mind. It’s too late for that. Rather, you’re hoping to be proactive in making sure other good staff members don’t follow the leaver out of the door. 9) Did you have clear goals and objectives? You’d hope a sales team had clear targets and incentives. But does your organisation try and align some goals and objectives with the wider business, allowing staff to feel more invested in the organisation’s success? 10) Would you ever consider coming back here? If it’s: “Never again,” then you had probably picked up this vibe throughout the rest of the exit interview. But for some star leavers, it’s good to know if they would come back, and perhaps what it would take to do so. What shouldn’t I ask in an exit interview? While remaining alert to any hint of harassment, bullying or discrimination allegations, which you should act upon under your normal procedures, you should avoid talking about individuals during an exit interview. Asking about individuals, or relationships with a particular colleague, can fuel office gossip and what you hear might not be entirely accurate or fair. 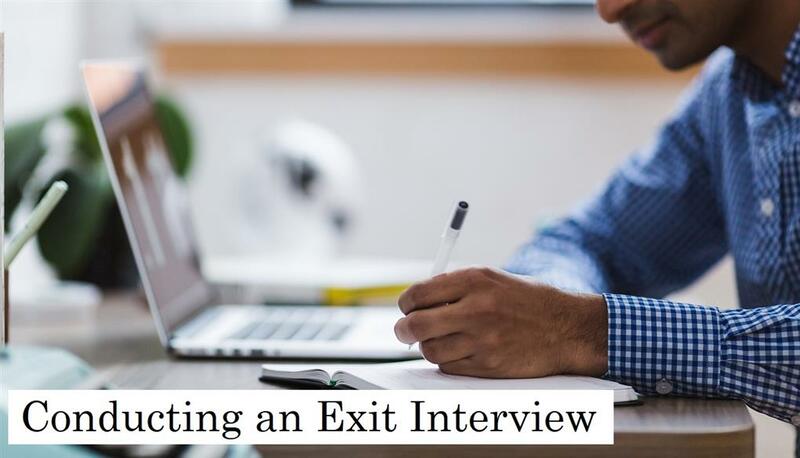 And while we’ve already pointed out, it’s a good idea to ask whether the leaver would like to work with you again, conducting exit interviews is not an excuse to try and persuade them to stay. Such efforts should have been made at the time of resignation. 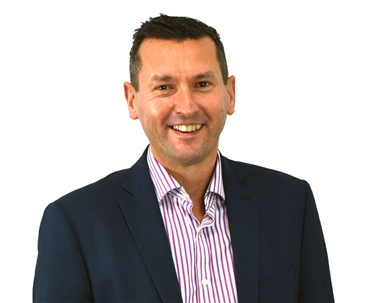 Finally if you are looking to replace an employee who has left or is in the process of leaving, please get in touch with Aaron Wallis Sales Recruitment.